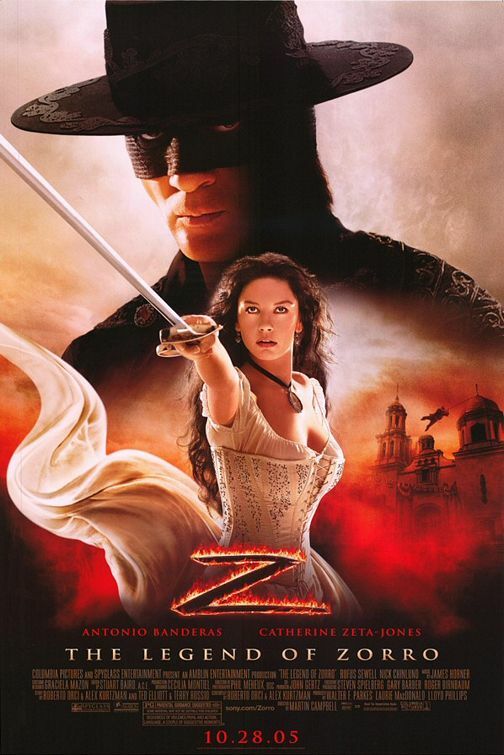 In The Legend of Zorro, 2005's sequel to The Mask of Zorro (1998), Catherine Zeta-Jones reprised her role as 'Elena de la Vega' the wife of Antonio Banderas 'Zorro'. 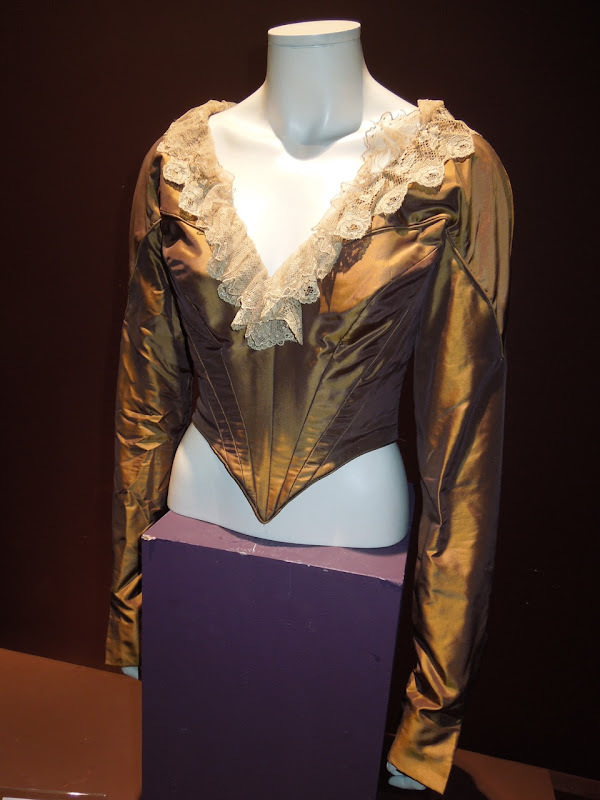 This is one of the bodices she wore in the movie which was set in 1850 California. 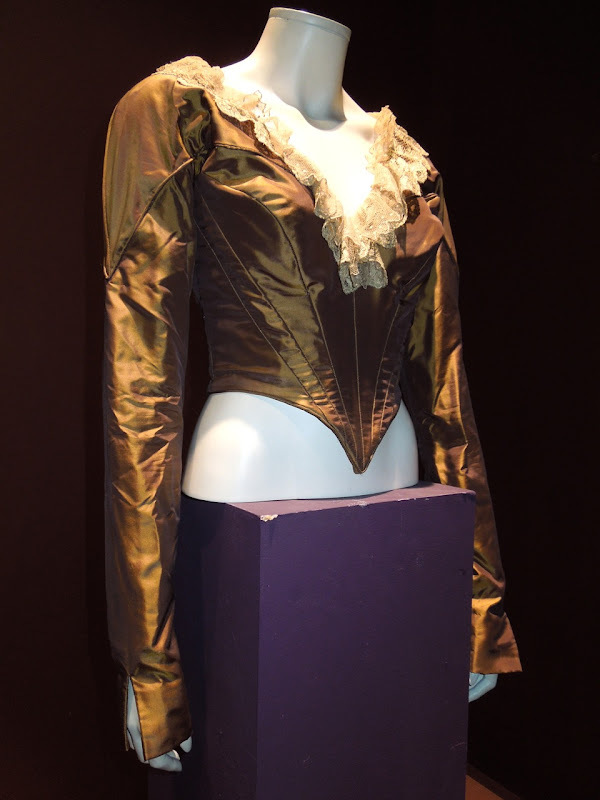 It was designed by Graciela Mazon and was photographed on display at the London Film Museum on May 15, 2012. 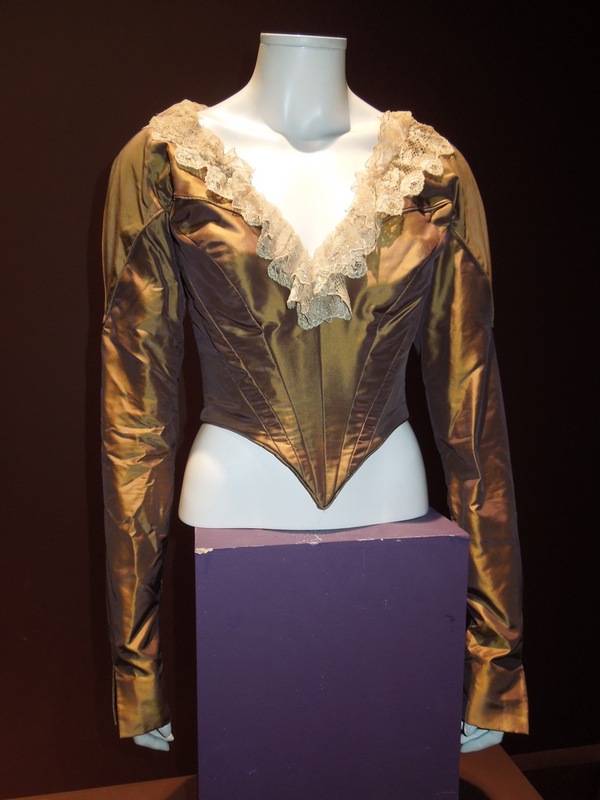 If you're a fan of the masked swordsman, be sure to also check out these original costumes worn by Guy Williams in the 1950's Zorro TV show.